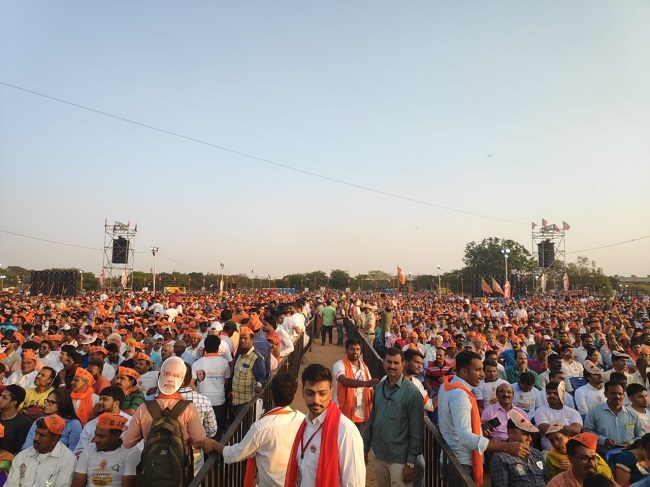 On Saturday, Prime Minister Narendra Modi addressed a massive crowd of people in Bengaluru, just a week away from the Lok Sabha elections in the state. In his speech, he attacked the Congress on issues of national security. “When the Congress government was in power, wasn’t there a bomb blast in Bengaluru? The entire country was not safe to live in then and in five years of our rule, has there been a bomb blast? Who made this happen? (crowd shouts “Modi”) This is not due to me but due to the power of your vote,” he said in his characteristic style of prompting answers from the audience. 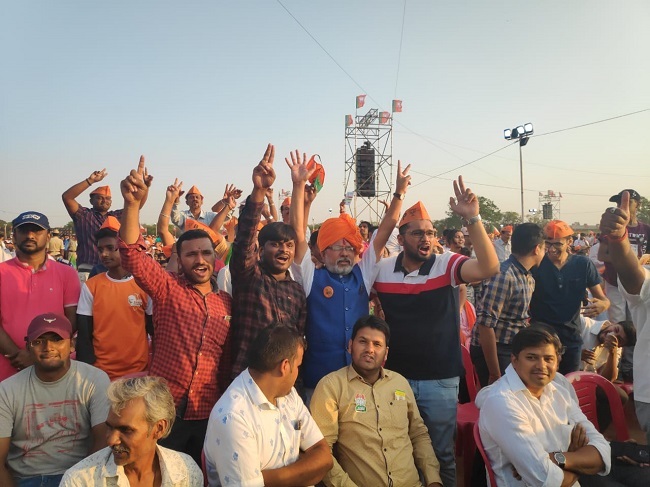 He criticised the coalition government in power in the state and urged the crowd to vote decisively in favour of the BJP. “The people here voted a coalition government and what has happened? Look at the state of Karnataka now. There is a confusion on who the Chief Minister is and if Income Tax department questions them, they are not transparent. if they come to you won’t you be transparent with them? Why should an elected representative be any different from a common man?” he further asked. This was the first time Modi publicly referenced to the income tax raids held in Karnataka in the run-up to the elections. Congress and JD(S) leaders protested against the raids and accused the central government of conducting politically motivated raids. He further took on the Congress’ election promise of repealing the Armed Forces Special Powers Act (AFSPA) and demilitarisation of Jammu and Kashmir. “In their manifesto, Congress has said it will revoke AFSPA which gives special powers to our brave soldiers. Did it not hurt you? Did it not anger you? Thousands of soldiers lost their lives for Kashmir and now they want to disarm our soldiers. They said that they will withdraw the army from Kashmir. Are you okay with it?” he asked. Modi also urged first-time voters to vote for the BJP, many of whom were in attendance. “We are here to register our support for Modi. Since he has come to power, there has been development and important milestones like demonetisation, surgical strike and Balakot strike. While I may not agree with all the decisions but I feel it has been largely good,” says Abhishek, an engineer from Bengaluru who attended the rally. The event scheduled to start at 4 pm was later shifted to 6:45 pm due to delays. BJP candidates from Bengaluru – Tejasvi Surya, Sadananda Gowda and PC Mohan – and state leaders including BS Yeddyurappa and R Ashoka also spoke on the occasion. Tejasvi, who is contesting from Bengaluru (South) constituency received loud cheers while he was speaking on stage. Tejaswini Ananth Kumar, who was widely tipped as the candidate from the same seat, was also present at the public address. Earlier in the day, Modi addressed a rally in Mangaluru in front of a similarly large crowd. Saturday’s rallIes are part of seven rallies held by the Prime Minister in a span of ten days in Karnataka. He will be speaking at Belagavi and Chikkodi on April 18, the day of polls in southern Karnataka. The BJP is hopeful that Modi’s presence in the last phase of campaigning in the state will swing the elections in their favour. “We are targeting to win 22 seats in Karnataka this time around. We have the confidence to make this happen since we have a world leader like Modi that we can be proud of,” BS Yeddyurappa said.